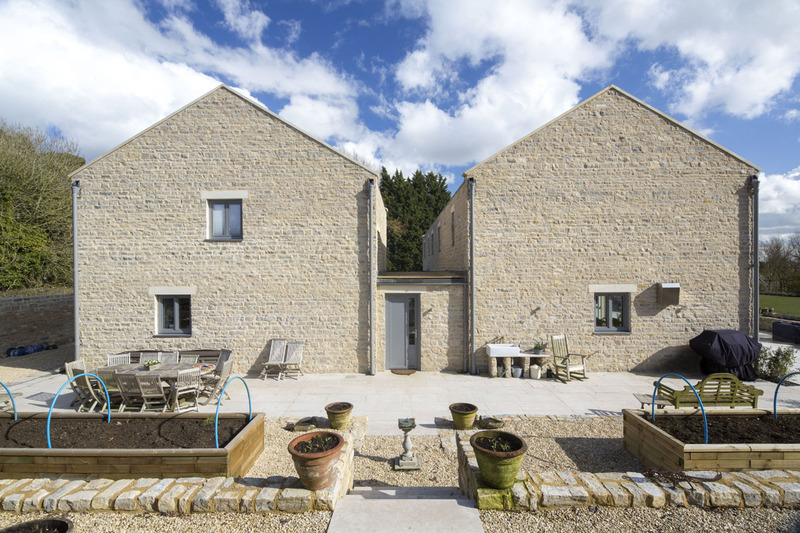 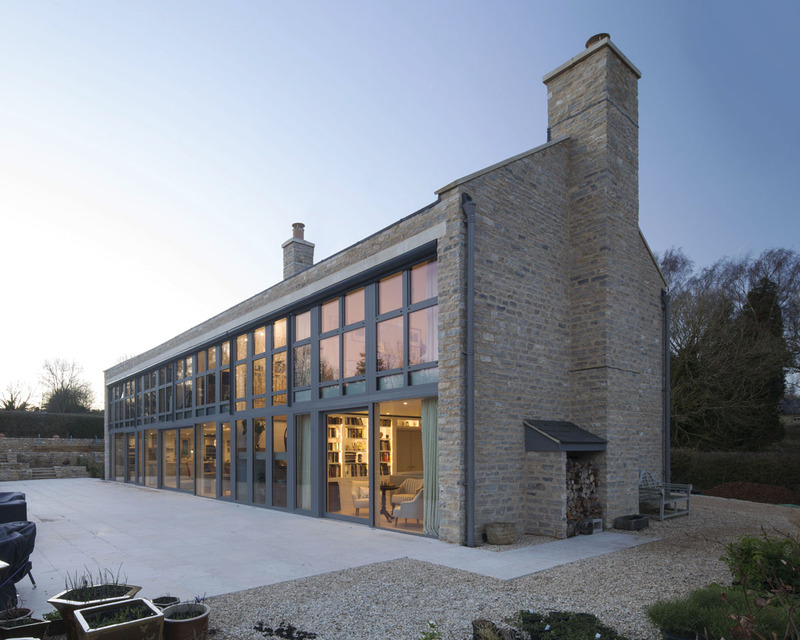 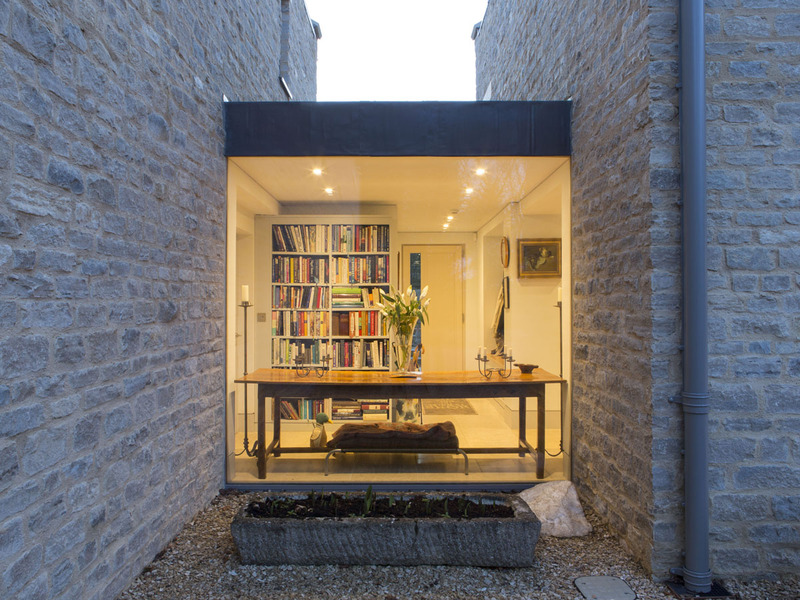 A new-build house in Oxfordshire with cavity walls externally clad in rough-honed local Monmouth stone. 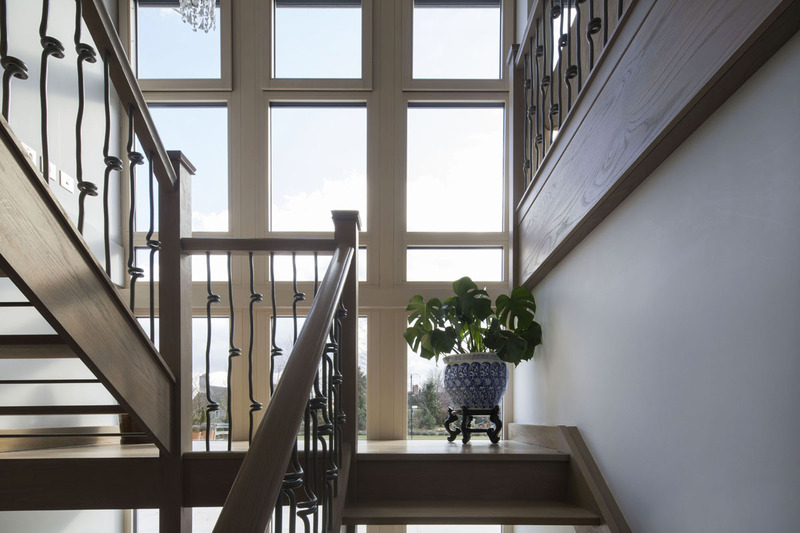 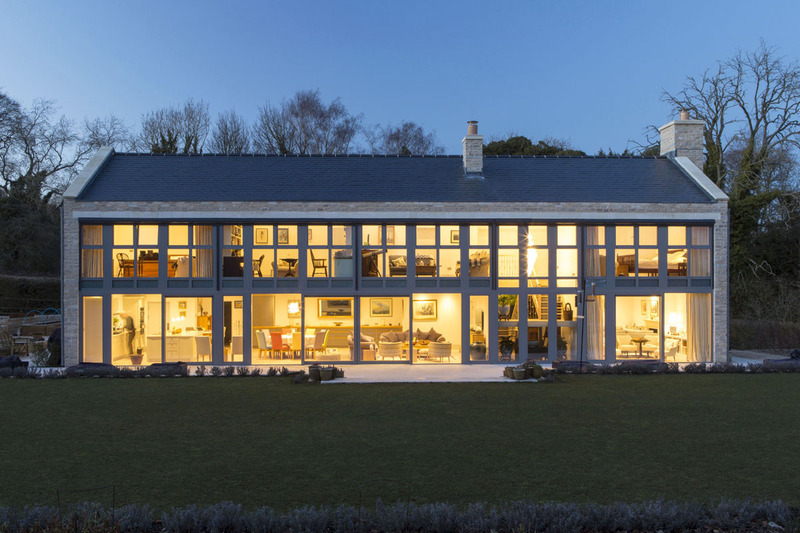 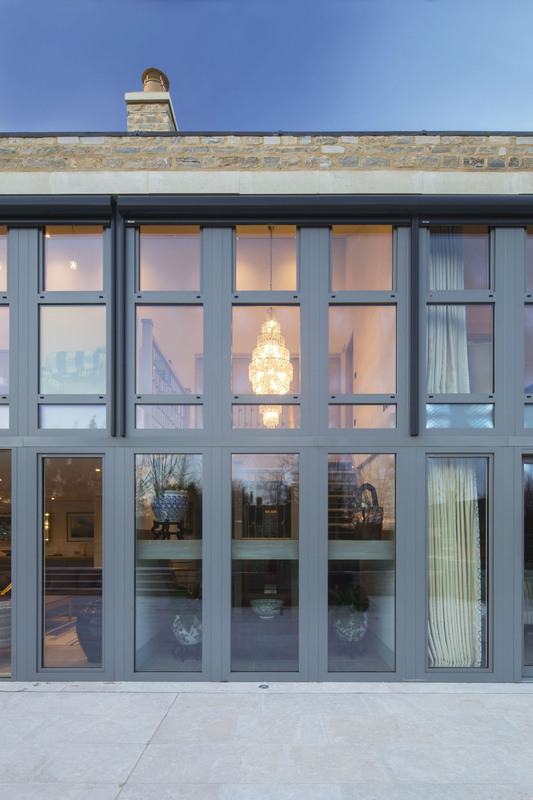 The living areas have one fully-glazed façade, which provides magnificent views out onto the garden. 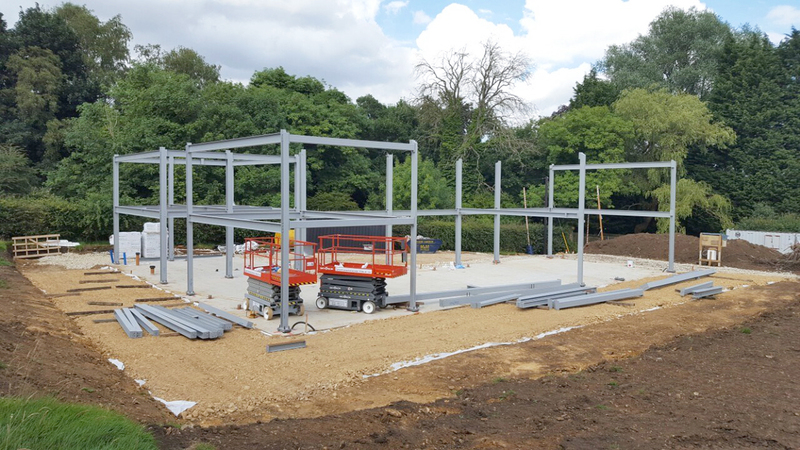 The structure is a lightweight steel frame, facilitated by the columns being bolted down to reinforced concrete foundations. 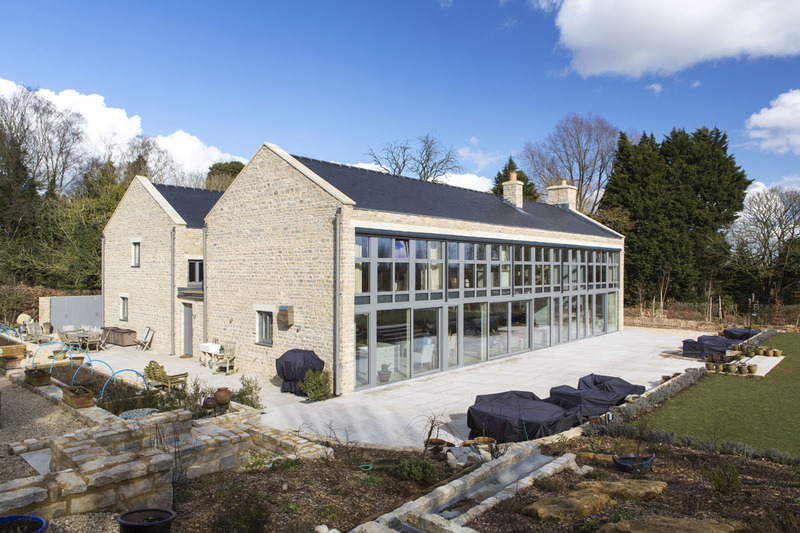 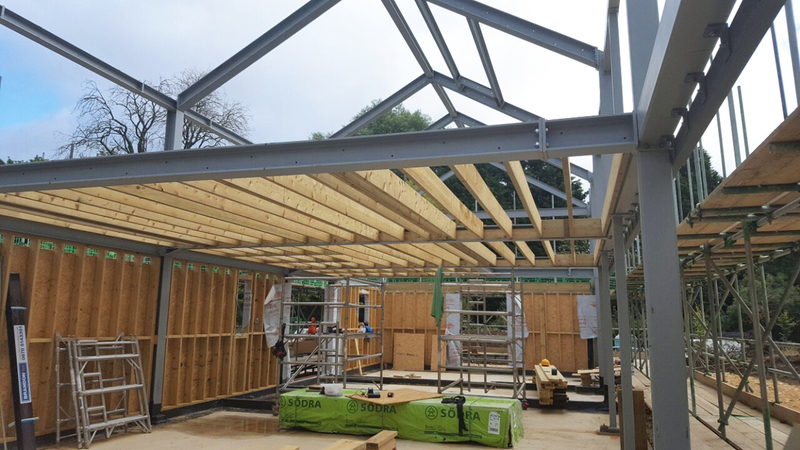 This system allowed for fast construction and a completely open-plan and flexible layout.